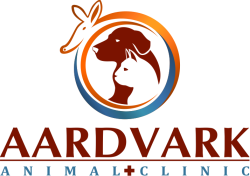 We are a full service veterinary clinic with innovative medical technology, delivering test results and diagnosis within minutes. Haz Click Aqui Para Visitar Nuestro Sitio En Epañol! We Now Offer Grooming Services! We recently began to offer grooming services to our clients. However, it is important that all pets interested in this service be fully vaccinated at least 2 weeks prior to receiving the services. This includes; rabies, DHPP, and bordetella vaccine. Please feel free to give us a call at 305-557-0531 to make an appointment. Prices fro the grooming service begin at $45.00. Come join us on Facebook! You will receive interesting posts pertaining to your pets well-being, fun facts, contests your pets can enter, and monthly specials. Furthermore, we encourage you to leave us a review and let us know how we're doing. We strive for excellence at our clinic. Please feel free to contact us via email, social media, or giving us a call!